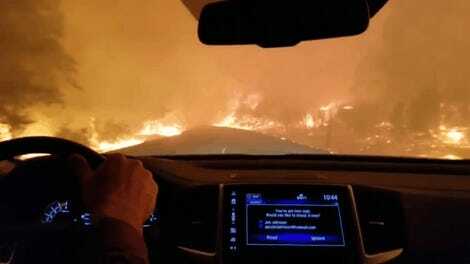 At least 31 people have died in the fires engulfing California over the past few days. Driving through it looks like trying to make an escape through hell, but it could be easy to dismiss that as some country road. But Malibu is right in Los Angeles County, and now one of those fires is running straight up to the highways. 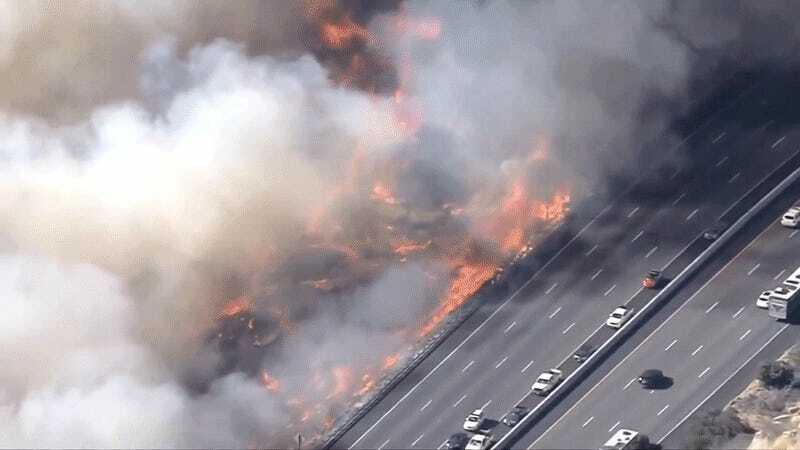 You can clearly see traffic backing up, as cars and trucks crawl along the left-hand shoulder to escape the smoke, heat, and flames. Everyone stay safe out there. Correction: This post originally referred to the “Camp Fire.” The fire in Malibu is actually a different fire. We regret the error.